Sandeep is the co-founder and Managing Partner of Lumis Partners. 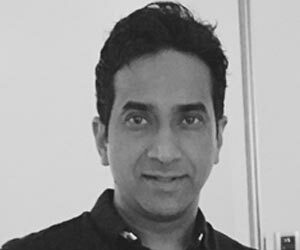 At Lumis, Sandeep brings an entrepreneur spirit, a hands-on investing experience in India, and over fifteen years of global operating experience. At Lumis, Sandeep is focused on building portfolio across higher education segment and human capital services in emerging markets. He is an active member in this sector and leads several activities across various public/private organizations in this ecosystem. He began his professional career with Technology Management Leadership program at GE. His prior experiences include quality and technology leadership roles across various businesses of GE; and senior operating positions at 3Com. Sandeep completed his undergraduate studies in Computer Science from the Delhi Institute of Technology followed by postgraduate program from the London School of Economics.